Experience all of the amazing beauty that Northwest Montana and the Flathead Valley have to offer in a way that is second to none. 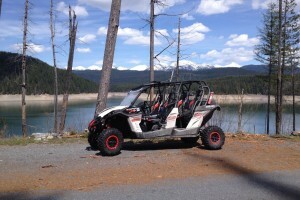 Once you have driven through Glacier Park or around the Hungry Horse Reservoir in one of our ATVs you will never be able to go back to a regular vehicle or shuttle. Feel the wind blowing through your hair and the sunshine on your face as you drive through the amazing views and delightful smells. The thrill of the scenic Glacier Park route on the Going-to-the-Sun Road or a cruise around the Hungry Horse Reservoir. The smell of fresh mountain air, wild flowers and woods. The sounds of the waterfalls, babbling brooks, lapping waves of the lake. The cool breeze on your face and the spray of the weeping walls. 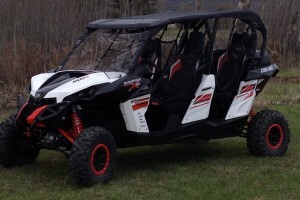 All of the excitement of a motor cycle, with the security of seat belts, roll cage, solid half doors, cup holders, open storage for your personal items, the convenience of openness for spectacular views of scenery and wildlife. Available for full, half-day and hourly rentals. Parking is easy at all hiking trails and park sites. 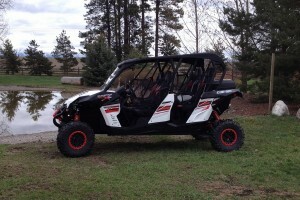 If you are feeling a little more adventurous you can also take our ATVs up the North Fork and Desert Mountain, this will give you a little more of an off-road experience.